Linux Infrared Remote Control (Lirc) has been around for many years and is an example of a ‘traditional’ unix application: it can do many things and is tricky to setup (the documentation even says a much). With a Raspberry Pi and a few cheap electrical parts it is possible to create a custom remote control or have your computer respond to your existing remote. A quick note about Raspberry Pi models. 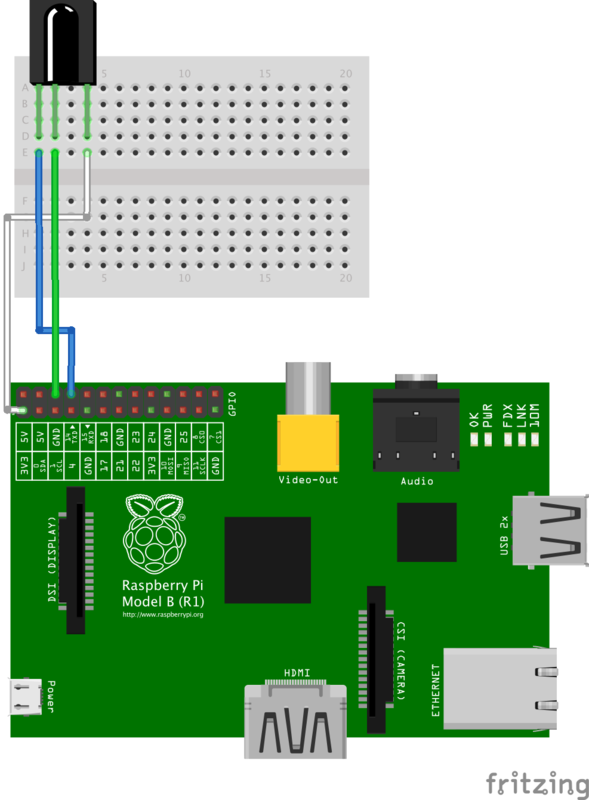 All Raspberry Pis have a row of GPIO pins, but depending on the model, some of have either 26 or 40 pins. To confuse things a little more, early models changed what some pins did. It should be noted there are two ways to refer to the pins. One way is by pin number, starting at 1, labeled on the board with P1. A second way is by pin function, such as GPIO1, TXD0 etc. FYI there are multiple GND, +3V3 and +5V pins. These instructions will be using pin numbers. Testing was done with 2017-09-07-raspbian-stretch-lite, which included lirc version 0.9.4c. Different versions of Raspbian or lirc may have different results. After installing, connect the Raspberry Pi to the internet and login. Select Interfacing Options, select SSH, Enabled YES. Also at this point consider changing your hostname and any localization settings. Previously it was recommended to install and run rpi-update, which updates the firmware and kernel, this is no longer recommended. 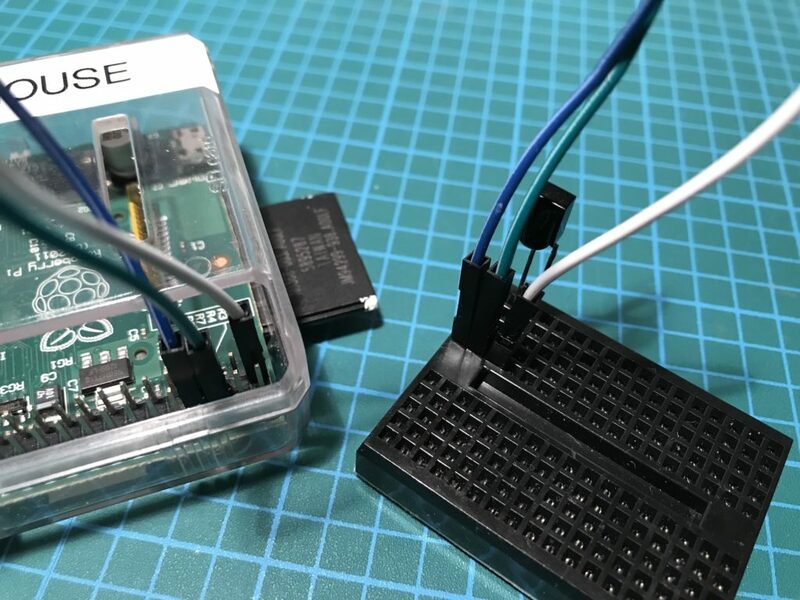 As a result of running rpi-update, test and developmental firmware and kernels were installed, which can be unstable and some do not include the lirc drivers. As a result it is no longer recommended to run rpi-update. This installs version 0.9.4c of the lirc package. Shutdown the Raspberry Pi whenever connections are made to the GPIO pins. First buy a breadboard, leads and infrared receiver. The receivers are cheap, around $2.00. This hardware will be to prototype the circuit and will not require soldering. Second, start mode2, which will listen for pulses from the sensor. Press control c to exit mode2. Next we will create a lirc configuration file for your remote. As a result of the large number of different remotes with buttons, lirc defines a standard set of button names (commonly referred to as a namespace), the current namespace has over 500 button names. A typical remote will only have a small subset of these names. Based on the remote being captured, it is worth taking a few minutes and plan out which buttons names should be used. Once captured, these button presses can be used to either send out the same button presses using an ir transmitter (sometimes referred to as a irblaster) or listen and execute programs when the button presses are received. As a demo, we are going to capture the power button on the remote, this is the KEY_POWER in the name space. In part 2, this button press will be transmitted to demo irsend. to <lirc@bartelmus.de> so it can be made available to others. Checking for ambient light creating too much disturbances. ..............................Cannot find any toggle mask. And that is it! Hopefully you have a really simple circuit that is capturing the IR signals from your remote. Next we will transmit this button press back to power on or off the device the remote controlled.